Trump! Clinton! Is that all there is? No. Fortunately, we have other choices. A recent poll shows that if the election were held today, 11 percent of Americans would vote for a Libertarian, former New Mexico Governor Gary Johnson. That's surprising, since last election Johnson got just 1 percent of the vote. This year, he's doing better, probably because Donald Trump and Hillary Clinton hold the highest percentage of "unfavorable" reactions from voters in more than 30 years. I assume the Libertarian total will go higher, since most poll respondents had no opinion about Johnson. They probably don't know who he is. They can learn more by watching my Fox Business Network show April 1 and April 8. On those days, I'll air a debate among the three leading Libertarian candidates. They are Johnson, software businessman John McAfee and The Libertarian Republic founder Austin Petersen. The Party will choose its nominee at the Libertarian convention in Orlando, Florida, over Memorial Day weekend. What a relief to hear libertarian views after months of hearing Clinton and Trump talk about reducing Americans' liberties. Clinton wants to raise taxes, curtail gun rights, force us all to pay for inefficient "green energy," impose new regulations on just about everything, etc. Trump wants to increase spying on American citizens, put a giant wall between the U.S. and Mexico, start a ruinous trade war, etc. Libertarians want limited government, one that doesn't mess around in your personal life or try to run the economy. Gary Johnson suggests immigrants to the U.S. just first undergo a background check to make sure they aren't criminals or terrorists, and then prove they have employment and can pay their taxes. He'd get rid of the complicated quotas the U.S. has on who can come here from which countries and in which professions — a bureaucracy that takes the best and brightest immigrants years to navigate. Johnson has a track record. The governor cut red tape and the number of government workers in New Mexico. He vetoed 750 bills and used a line-item veto to cut thousands of other items. He lowered New Mexico's taxes and balanced the budget while remaining popular with voters. Running as a Republican, he was elected to a second term in that Democratic state. Now, as a Libertarian presidential candidate, he warns "the idea that we can somehow balance the federal budget without cutting military spending and reforming entitlements is fantasy." John McAfee calls government "corrupt" and "technologically illiterate." He says he'll push a policy of "privacy, freedom and technology." McAfee says, "Individuals should be free to make choices for themselves and accept responsibility for the consequences of the choices they make." He's had a few brushes with the law himself, including an arrest for driving under the influence, so he knows what it's like to be in the government's crosshairs. Like economist Milton Friedman, he says that we can't have open borders and a big welfare state — so McAfee says get rid of the welfare state and open the borders, so long as immigrants submit to being documented. He wants to reduce government's domestic role to policing disputes and otherwise let people engage in trade, including drug sales. He says our military role overseas should be reduced so that we interfere less in the affairs of other nations. Austin Petersen, like many libertarians, describes himself as "fiscally conservative and socially tolerant." He proposes a 1 percent spending reduction in all government programs and a simple flat tax, and he would let young people opt out of Social Security. Like Johnson and McAfee, he wants to reduce immigration bureaucracy, the drug war and military interventions. Unlike some Libertarians, Petersen says he is pro-life. You might be surprised to hear that there is division among Libertarians on issues like abortion. This Friday and next you can watch how these candidates handle the differences. On Facebook and Twitter, viewers told me they want to know how Libertarians would reduce the welfare state, defeat terrorism and help workers cope with changes caused by global trade. I'm sure the Libertarians' answers will make more sense than those we hear from Trump and Clinton. 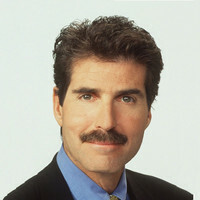 John Stossel is host of "Stossel" on Fox News and author of "No They Can't! Why Government Fails — But Individuals Succeed." For other Creators Syndicate writers and cartoonists, visit www.creators.com.